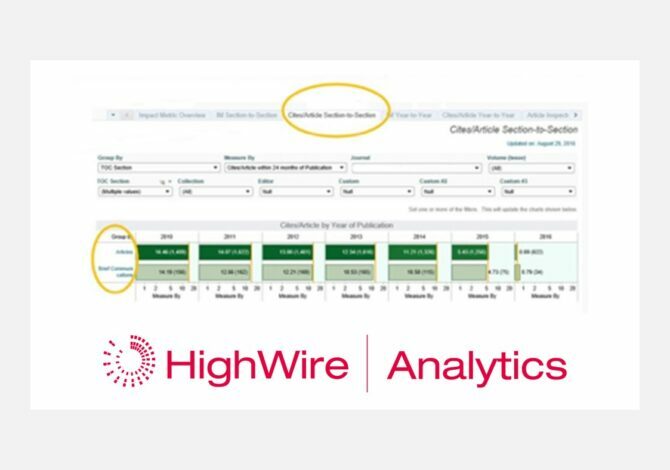 In a panel session “The Many Pragmatic Uses of Impact Vizor” at the 2016 HighWire Fall Publishers Meeting, publishers were invited to share how they used Impact Vizor to answer questions about their publishing programs with the HighWire community. Publishing decision: Should we continue to publish the “Brief Communications” section of our journal? In Impact Vizor, this information is identified as an “impact metric”– a score that averages citations for an individual article over two years.